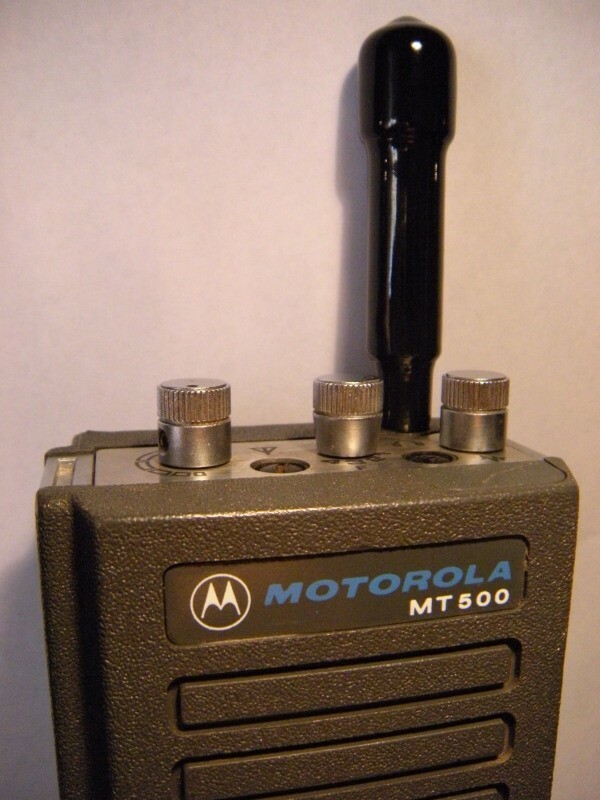 First introduced in 1977, the Motorola MT-500 "Handie Talkie" is an emergency/commercial-frequency FM radio used by the Ghostbusters. The model used in the first film is a 3-8 channel UHF (short body), lacking both PL boards/switches or dial pads on the face. The stubby antennas are the 2.0" x 0.5" models that thin at the base. 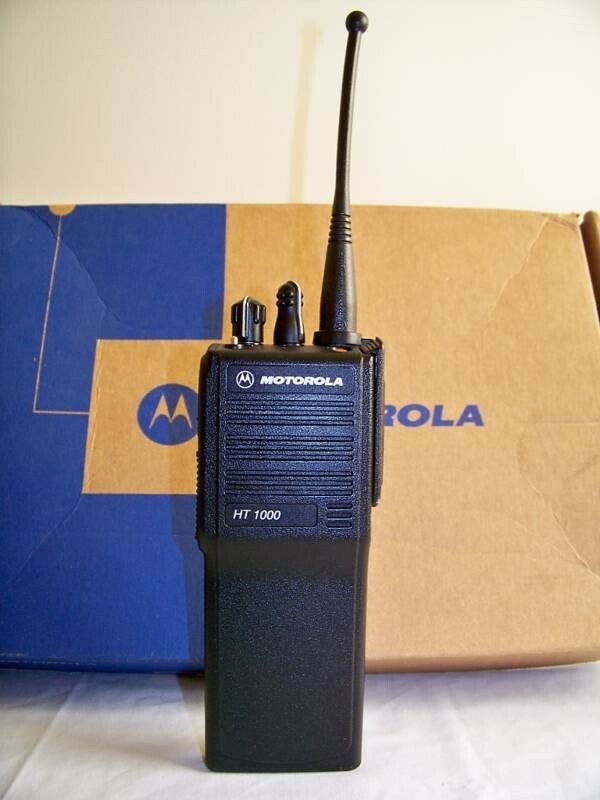 They are carried in the standard non-swivel Motorola holsters (without the straps). 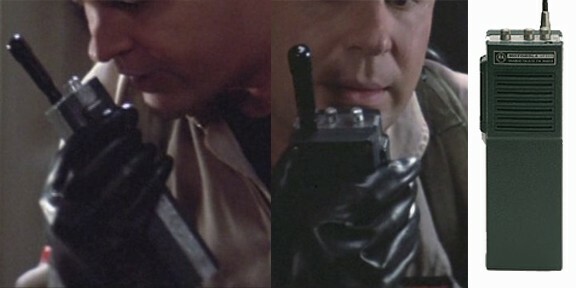 While Egon and Venkman both use the MT-500, Ray actually uses the older model HT-220. 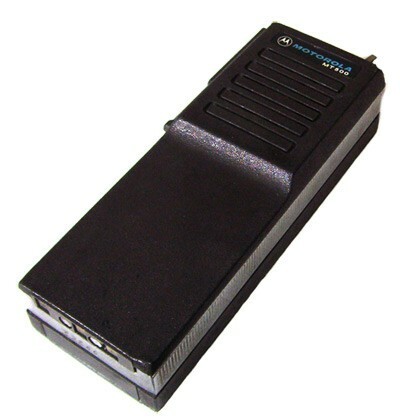 Notice the style and position of the Push-to-Talk button on the HT-220 as compared to the MT-500. 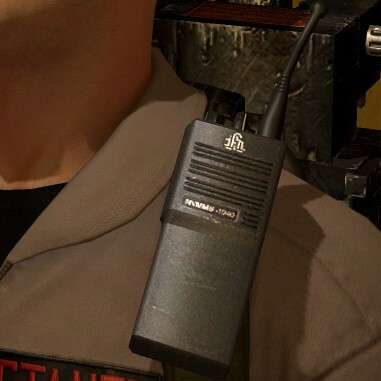 The radios used in Ghostbusters: The Video Game are noticeably thinner than the MT-500, possibly based on the HT-1000 (note the fictional brand). 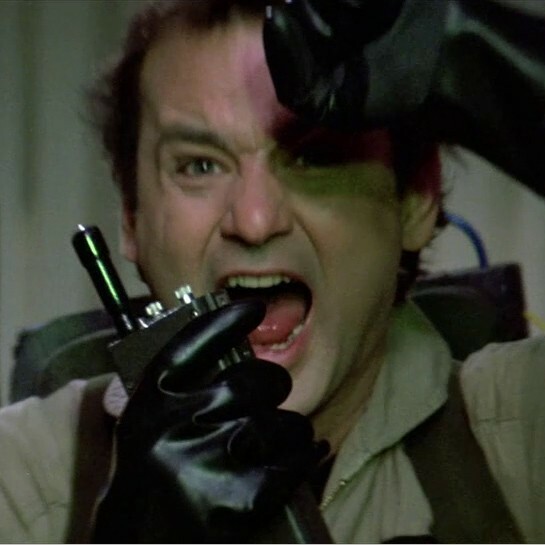 They sport 7.0" x 0.5" flex antennas and are conveniently clipped to the left strap of the Proton Pack.